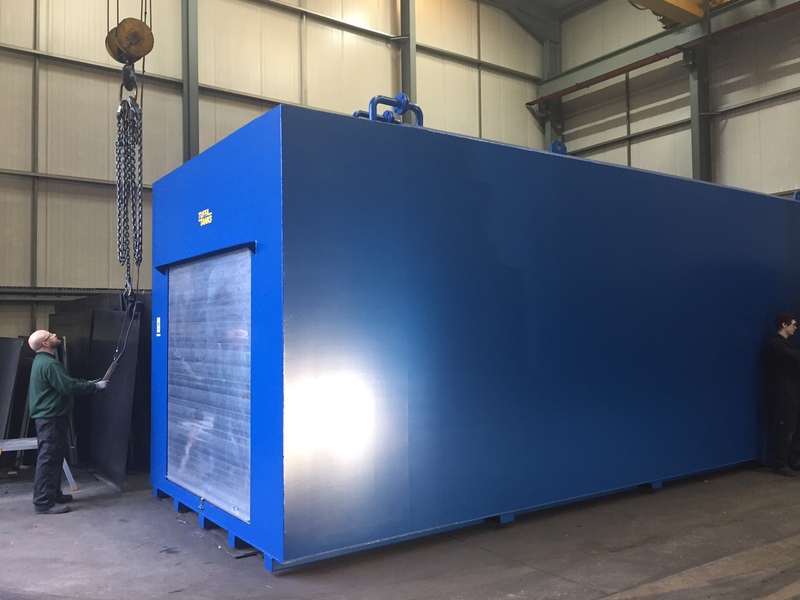 Another bunded steel tank was dispatched from the Tuffa Tanks factory this month, this time a 70,000 litre dual compartment tank for a plant hire company in Bedfordshire. 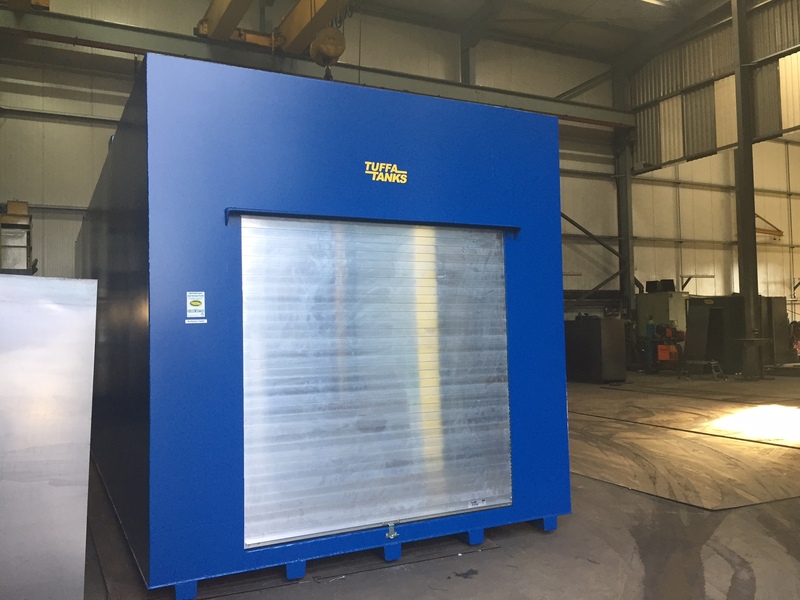 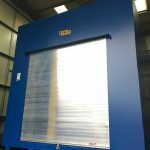 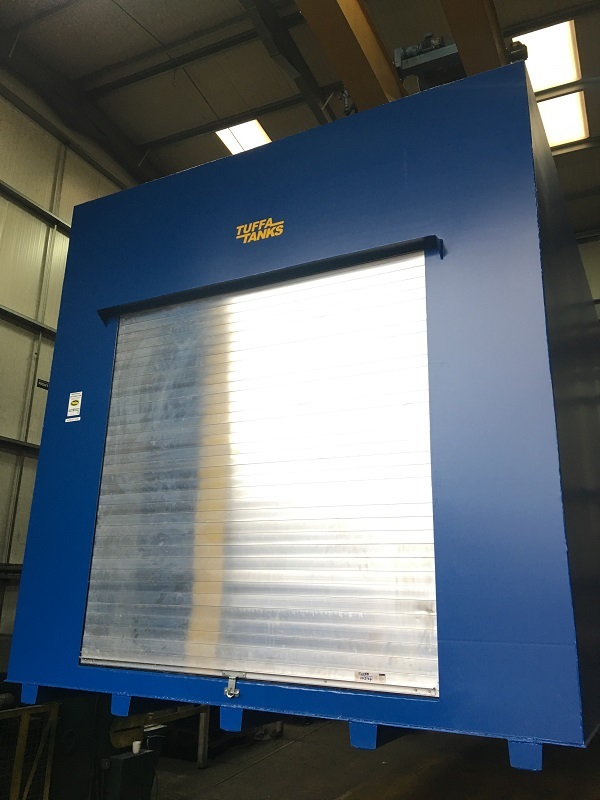 The tank was manufactured with a 1m deep walk in cabinet with roller shutter door suitable to house the two lots of dispensing equipment and where the Tuffa FMS high accuracy contents gauge and alarm would sit nicely. 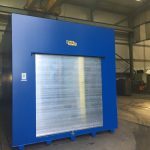 The tank was collected and installed by the client themselves. 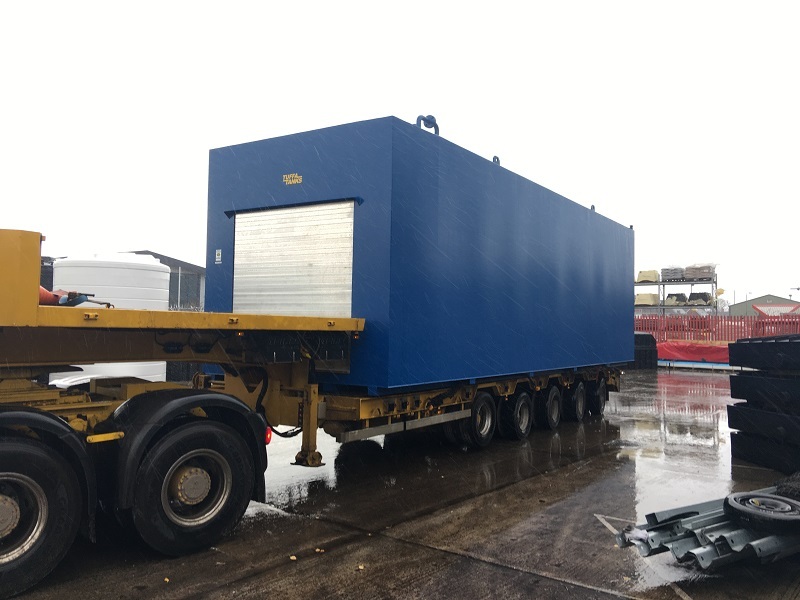 The tank measured up at 10m x 3m x 3m which meant that it would fit neatly on to the step frame vehicle which collected it. 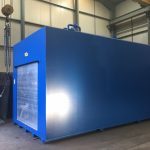 The installation side simply required the tank to be connected to the clients own on site pumps which would connect up to the 50,000 and 20,000 litre compartments respectively. 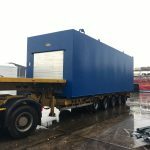 The images below show the tank inside the Tuffa Steel Tank factory and on the vehicle leaving the factory.